The Iron Oak Duplex is a very large seven bedroom, five and one-half bath home in three levels that can accommodate up to sixteen people, making it the perfect place for small groups or family gatherings. The main floor has a large, conveniently arranged kitchen and dining area that is open to the formal living area a half-level below. Sliding glass doors open from the kitchen to a deck with a private hot tub and fabulous views of the ski slopes. Downstairs is a huge game room that is the perfect place for kids to be active…there's even a foosball table! The house has an attached a two-car garage, but having your own vehicle is not necessary as the free city shuttle stops just a few yards away. 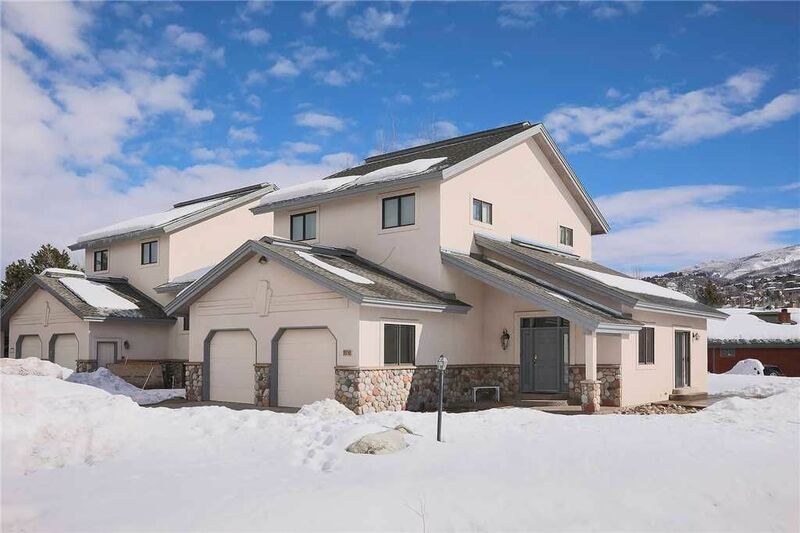 The convenient location and spacious layout of this home make it a wonderful choice for your stay in Steamboat. The only real complaint was the terrible windows. With no air condition and unordinary high temperatures we needed the windows open. Bugs made there way in because of no screens and big gaps in the window frames that are falling apart. When we arrived most of the windows were not closed because of them being broken and could not be shut all the way. Lots of stand alone fans were available to help with heat. Thank you so much for your feedback, we have passed this information on to the GM. We hope you will stay with us again! Thanks for your recommendation! We look forward to host you again at Pioneer Ridge. We had a wonderful time. The accommodations were great, the staff was responsive, the activities were fun, the restaurants delicious! It would be helpful if the garage door openers were provided along with the keys. It is fantastic to read about the wonderful time you had with us at the Iron Oak Duplex! We appreciate your feedback and look forward to accommodating you again at Pioneer Ridge.